Hey, folks! We’re back with the weekly news updates on the League of Legends scene. Champions were crowned, changes to the game were made and we’re getting closer and closer towards the 2017 Mid-Season Invitational. Without further ado here are the most noteworthy things that have happened over the past week. A lot of leagues wrapped up their spring split and crowned a champion that would represent their region at MSI. Start off with Europe, the Unicorns of Love faced off against the current kings of the region G2 Esports. At first, it looked all business for G2 as they crushed the Unicorns in the first two games. A 3-0 was looming on the horizon however the Unicorns managed to bounce back and win Game 3. Sadly it wasn’t enough and they fell 1-3. Despite the loss they received an ovation from the crowd and earned themselves a lot of respect with their great performance throughout the split. With Vizicsacsi being crowned MVP of the split it’s safe to say it was a solid Spring for the Unicorns and they have a lot to look forward to. Meanwhile, for G2 the goal will be to have a better performance at MSI than they did last year. If they are able to redeem themselves it will give them a lot of momentum heading into the Summer Split. In the third place match, Fnatic was able to easily dispatch Misfits and win the series 3-0 to earn themselves 3rd place and extra championship points. Switching gears to North America it was another classic face off between Team SoloMid and Cloud9. In a similar manner to how the EU finals started, TSM completely crushed C9 in the first two games. It was looking brutal and hopeless for the blue squad. However in a really close Game 3, C9 was able to teamfight better than TSM and took the win. 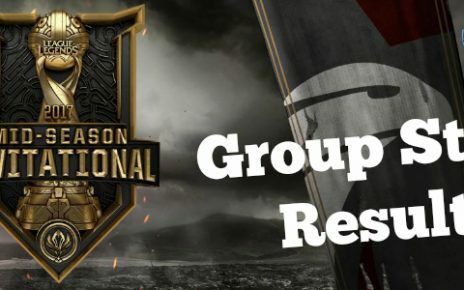 The fourth game was more so dominated by C9, however, TSM picking up a lackluster draft also played a factor in their loss. The final map of the series proved to be the most exciting one with both teams being even throughout the entire game. In the end things wrapped up in a similar manner to the Summer finals from last year. Jensen made an error right at the final minutes of the game and it allowed TSM to win a 5v5, take elder dragon and push bottom for the win with three people while Hauntzer and Svenskeren held off Sneaky and Contractz from trying to backdoor. It was truly an exciting series and a fitting Game 5 for the finals of the Spring Split. In the third place match, Phoenix1 narrowly defeated FlyQuest 3-2 in order to earn themselves some extra championship points. Over in the eastern side of things, the LPL has nearly wrapped up with only the finals remaining. 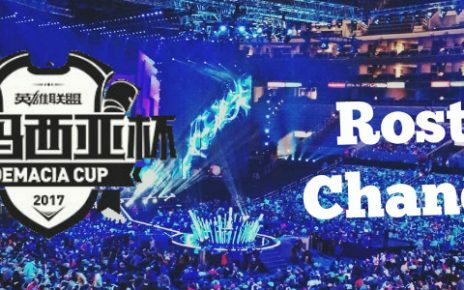 Royal Never Give Up defeated Edward Gaming in 3-1 in the first semifinal while Team WE took out OMG 3-1 in the second one. This would set up a third place match between EDG and OMG which was a really close five game series. EDG played with Koro1 and Clearlove in the first four games but in the last one, they were subbed out for Mouse and Fireloli which ended up being good for EDG as they won the series 3-2. Over in the LMS the Flash Wolves won yet another title for themselves with a commanding 3-1 win over Ahq eSports Club. Coming off of winning both IEM Katowice and the LMS, the Flash Wolves will definitely be one of the favorites heading into MSI. And finally in a final, that was exciting from a storyline perspective but a letdown in terms of game quality, SK Telecom T1 defeated KT Rolster to win yet another LCK title and qualify for MSI. Aside from the Flash Wolves, SKT are the other favorites to win the event. And while Flash Wolves have historically done well against them, SKT have just built such a reputation for success to the point where not expecting them to win is crazy talk. It’s also worth mentioning that Supermassive have won the TCL and have qualified for MSI while Ever8 defeated CJ Entus to win the 2017 Korean Challenger Series. Not much to talk about in terms of roster move. The biggest one would be Ninja leaving Team EnVy. It wasn’t working for them with Ninja as he was always inconsistent. Perhaps a native mid laner would work better for Team EnVy or just rebuilding around Lira. Satorius has left Origen after the team had an abysmal Spring Split and got relegated. Nothing huge as Satorius was never a strong performer for Origen. Brokenshard and Bee Sin were released from eUnited with Brokenshard moving over to RED Canids to coach them throughout MSI. Certainly an interesting move. Brokenshard hasn’t had the best success as a coach and it’ll be interesting to see how the team performs with him on board. 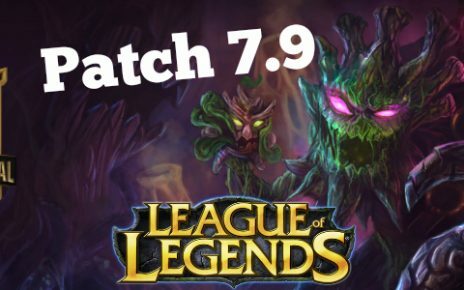 The 7.8 patch has hit the live servers and there’s some things worth mentioning. Lissandra has received some generous buffs that have made her passive and Q stronger. She’s a good niche pick in-general so these buffs may push her into more of a standard pick. Amumu‘s new passive received a nerf that decreased its damage. Tough to say if it’ll affect him heavily since he still hasn’t been seen in competitive play. Malzahar also took a hit with his voidlings being nerfed and having reduced health. This could take him down a notch and we might not see him as a support in competitive play anymore. And finally, the last major thing to notice is Shen’s Ultimate now scaling off of his missing health. His Q also does less damage to minions but more damage to champions. Tough to tell how these changes will affect Shen but it’s possible they will only make him slightly stronger while keeping his build path the same. Thanks for reading my weekly news article, check out the Dota 2 weekly articles as well if you are interested. I hope you enjoyed and I will see you next time! Good luck! Dota 2 Weekly: Wings Gaming disband?! Kiev Major starts!